We are in the middle of summer, and in Texas that means A/C and electricity bills are running high. 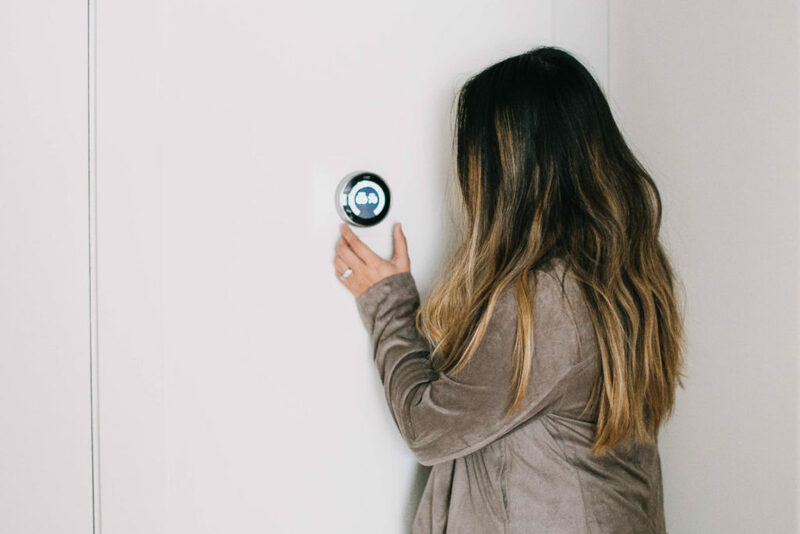 Thanks to my new favorite smart home gadget, the Nest Learning Thermostat, you can save energy and money easily– even in these brutally warm months! Studies show that the Nest Thermostat helps cut cooling costs by up to 15%. The best part is that it can be controlled easily through an app on your phone, making it fun and convenient to conserve energy. Reliant provided us with our own Nest thermostat so that we could test out its energy-saving capabilities firsthand. It already came in especially handy when I forgot to turn up the temperature while we were in Door County. With other thermostats, I would have wasted electricity on air conditioning when we were out of the house for over a week! The Nest Thermostat knew we were away, and gradually adjusted the temperature to a more eco-friendly setting. I was able to manually set a custom temperature for our Texas home from my phone in the comfort of our Wisconsin condo. Technology is amazing. The Nest Learning Thermostat is incredibly user-friendly, and works right out of the box to optimize your energy usage. But for those who want to take it a step further, here are some additional tips I’ve learned to make the most out of your thermostat! The Nest Learning Thermostat will automatically adapt and program itself as your life and the seasons change. 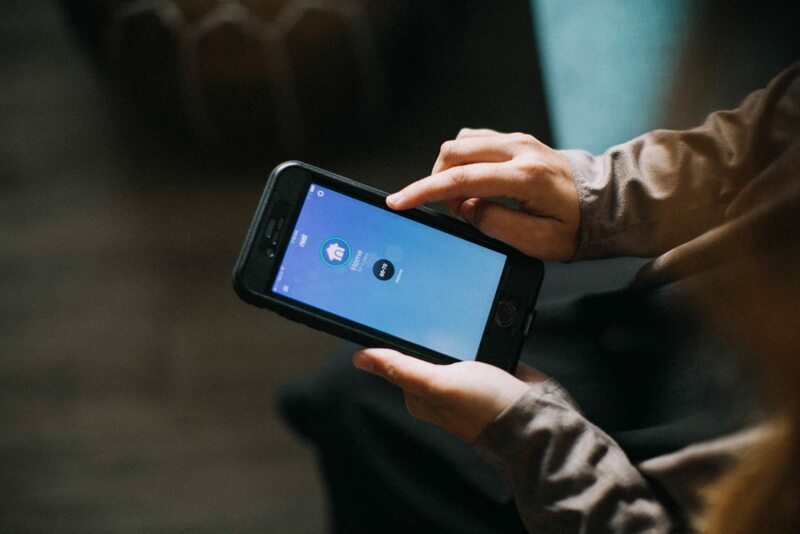 Thanks to a built-in wide-angle motion sensor to identify when people appear to be at home along with an intelligent algorithm, Nest’s “Auto Away” system learns your patterns and adapts accordingly. During the first week after installation, the thermostat will build a schedule by learning each time you walk in front of it or adjust the temperature. It continues to learn over time, so train it with good habits such as turning the temperature down before you leave and setting it to an optimal, but still comfortable, energy saving temperature when home. Check the progress of your energy saving efforts through the Home Report. The Nest Leaf is a feature that shows you when you’ve chosen a temperature that saves energy. Nest will also encourage you to select temperatures that are a little cooler in winter or warmer in summer than you normally use. Choosing just one degree warmer or cooler, depending on the season, can save 5 percent on your utility bill. During our air conditioning tune-up appointment last month, we learned how to change our A/C filter and that it should be done every few months. A clean air filter helps increase the efficiency of your HVAC unit and cuts down your energy bills. The Nest Thermostat has a convenient feature that allows you to set a reminder when your filter should be changed! Toggle the switch for “Air filter reminder” on. It should change from gray to blue. Select a month for when the air filter was last changed. If you don’t remember, chances are it’s time for a change! Voilà! Nest will now send you reminders when it’s time to change your air filter. This is determined by hours of usage, rather than months. This will help keep you from changing your air filter too often during times when your unit isn’t being used as much. For places with extreme temperatures (like Texas in the summertime), it’s crucial to know if your furnace or air conditioning unit stops functioning. With our two dogs at home, I’d hate to be gone all day for work not knowing that the A/C wasn’t working. To set up alerts, sign up for IFTTT and connect your Nest account. After you’ve connected your account, click this link to get a notification when your Nest Thermostat rises above ____ degrees or when it drops below a certain temperature. 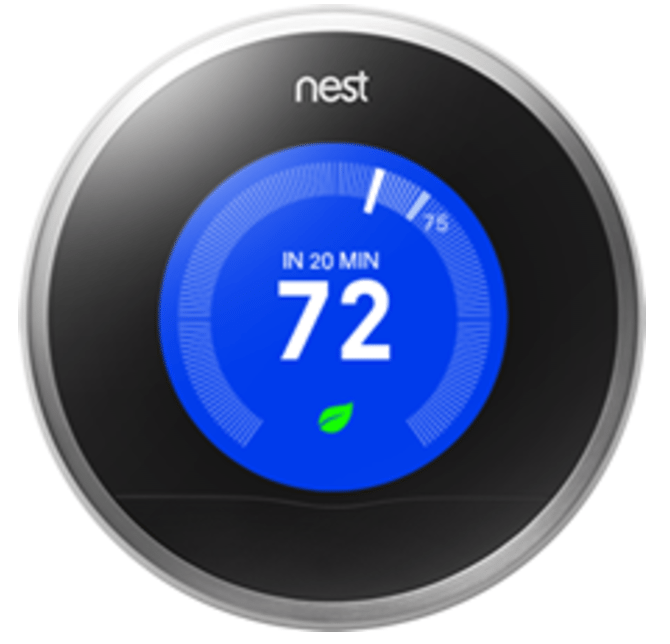 Get a Nest Learning Thermostat™ ($249 retail value) at no cost when you sign up for the Reliant Learn & Conserve℠ 24 plan. This fixed-price plan with a 24-month term for added peace of mind includes a free Nest Learning Thermostat so you can try all the tips in this blog post to start saving money and energy! Click here for more information or to sign up for this awesome plan.